The Muisca lived in scattered settlements spread across the valleys of the high Andean plains in the east of modern-day Colombia. The Muisca (or Chibcha) civilization flourished in ancient Colombia between 600 and 1600 CE. Their territory encompassed what is now Bogotá and its environs and they have gained lasting fame as the origin of the El Dorado legend. 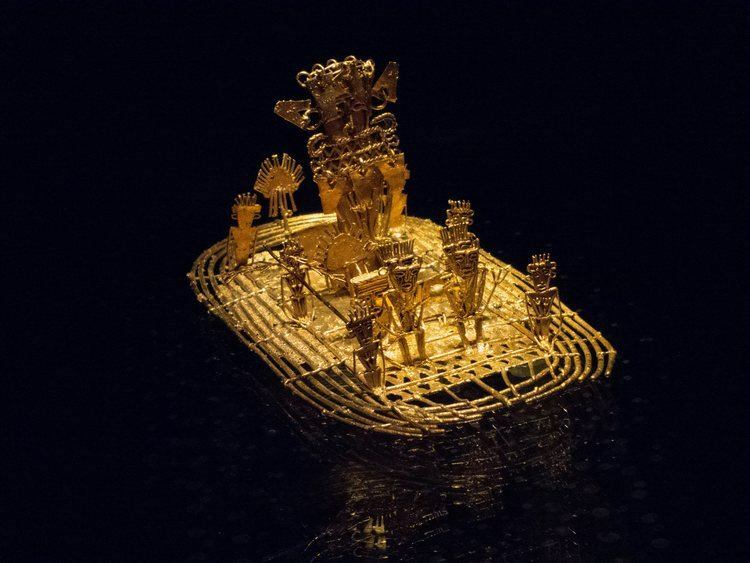 The Muisca have also left a significant artistic legacy in their superb gold work, much of it unrivalled by any other Americas culture. The Muisca lived in scattered settlements spread across the valleys of the high Andean plains in the east of modern-day Colombia. Important annual ceremonies related to religion, agriculture, and the ruling elite helped unite these various communities. We know that such ceremonies involved large numbers of participants and included singing, incense burning, and music from trumpets, drums, rattles, bells, and ocarinas (bulbous ceramic flutes). The communities were also linked by trade and there was even a movement of skilled craftsmen, especially goldsmiths, between Muisca cities. Founded by the legendary figure of Bochica, who came from the east and taught morality, laws, and crafts, the Muisca were ruled by chieftains aided by spiritual leaders. The Muisca controlled and defended their territory with such weapons as clubs, spear-throwers, arrows, and lances. Warriors also had protective helmets, armoured breast plates, and shields. The Muisca took trophy heads from their defeated enemies and they sometimes sacrificed captives to appease their gods. However, warfare was highly ritualized and probably small-scale. There is ample evidence, for example, that commodities such as gold, shells, feathers, animal skins, tobacco, salt, coca leaves and other foodstuffs were traded with neighbouring Colombian cultures such as the Tolima and Quimbaya. Precious goods would have been reserved for the Muisca elite, as was hunting and meat. Idolizing the sun, the Muisca also had a special reverence for sacred objects and places such as particular rocks, caves, rivers, and lakes. At these sites they would leave votive offerings (tunjos) as they were considered a portal to other worlds. The most important Muisca gods were Zue the sun god and Chie the moon goddess. We also know of Chibchacum, the patron of metalworkers and merchants. The most common type of offerings to the gods was foodstuffs along with typical tunjo of snakes and flat male, female, and animal figures rendered in gold alloy which were placed at sacred sites. Elite members of society could also be buried at such religiously significant places, first being dried and then wrapped in many layers of fine textiles, finally placed in a tomb seated on their seat of office, a small stool or tianga, and surrounded by the precious goods they had enjoyed in life. The Muisca today are most famous for the legend of El Dorado or ‘The Gilded One’. A Muisca ceremony held at Lake Guatavita, actually only one of many kinds, involved a ruler being covered in gold dust who was then rowed on a raft to the centre of the lake where he leapt into the waters in an act of ritual cleansing and renewal. Muisca subjects would also throw precious objects into the lake during the ceremony, not only gold but also emeralds. The Spanish, on hearing this story, allowed their imagination and lust for gold to leap beyond the bounds of reality and soon a legend arose of a magnificent city built with gold. Naturally, as it never existed in the first place, the city was never found and even the lake has stubbornly refused to reveal its secrets despite several costly attempts over the centuries. Figures in Muisca art are often transformational, for example, a man with elements of a bird which may represent the hallucinatory visions of shamans induced by the consumption of coca leaves or yopo (crushed seeds). Animals such as bats, felines, snakes, alligators, and amphibians were also popular subjects. The Muisca did not restrict their artistic output to gold but also created fine textiles which were of wool or cotton, and the latter could also be painted. Typical Muisca designs include spirals and other geometric, inter-locking forms. Also produced were ceramics (including clay figures) and carved semi-precious stones. The Muisca women were not only capable weavers of cloth but were equally skilled in basket-weaving and feather-work. Most examples have been discovered in tombs and so escaped the avarice of the European invaders in the early 16th century CE and later tomb robbers. For the Muisca, gold was though the material of choice as it was valued for its lustrous and transformational properties and its association with the sun. It was not used as a currency, but rather as an artistic medium. Gold was mined from exposed veins and panned from mountain rivers. 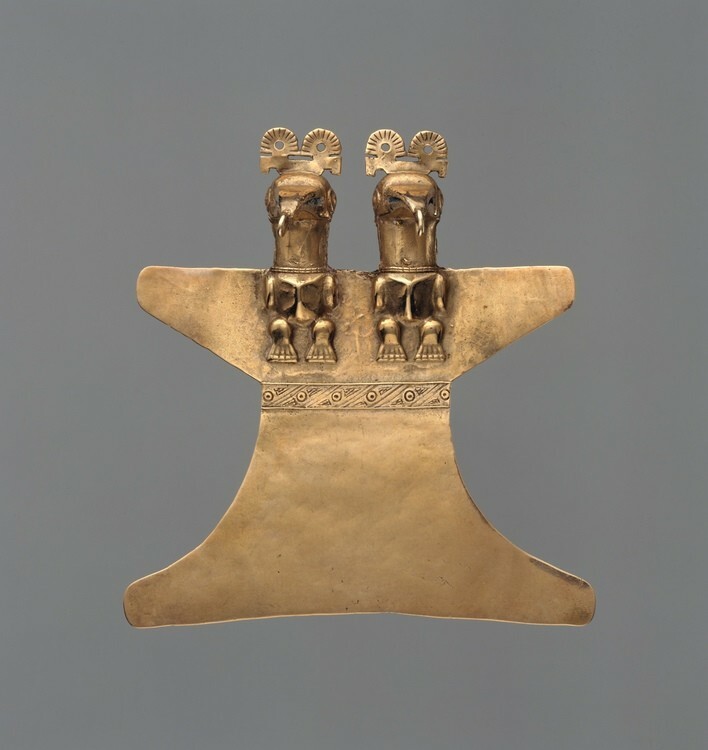 Gold and its alloy tumbaga (a mix of gold and copper with traces of silver) were used to make tunjos such as figures and masks, coca containers (poporos) with lime dippers, and also exquisite jewellery – typically pectorals, earrings, and nose studs. The Muisca goldsmiths employed a wide range of techniques in their work such as lost-wax casting, depletion gilding which gives a two-tone finish, repoussè, soldering, granulation, and filigree. Gold was also made into thin sheets by hammering on round stone anvils or carved stone moulds using an oval hammer of stone or metal. Perhaps one of the finest Muisca pieces, and solid evidence of the El Dorado ceremony, is a gold alloy raft on which stand figures, one of whom is larger and, wearing a headdress, is undoubtedly the ‘Gilded One’. It was discovered in a cave near Bogotá and was a tunjo. 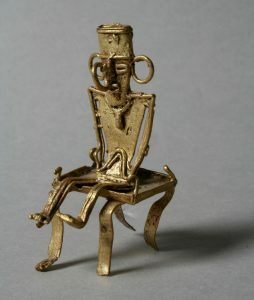 The piece is 10 x 20 cm with the main figure being 10 cm high and it now resides, along with many of the finest surviving Muisca pieces, in the Museo del Oro of the Banco de la República, Bogotá, Colombia. 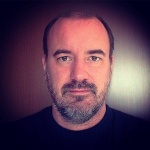 This entry was posted in Colombia, History, Indigenous. Bookmark the permalink.